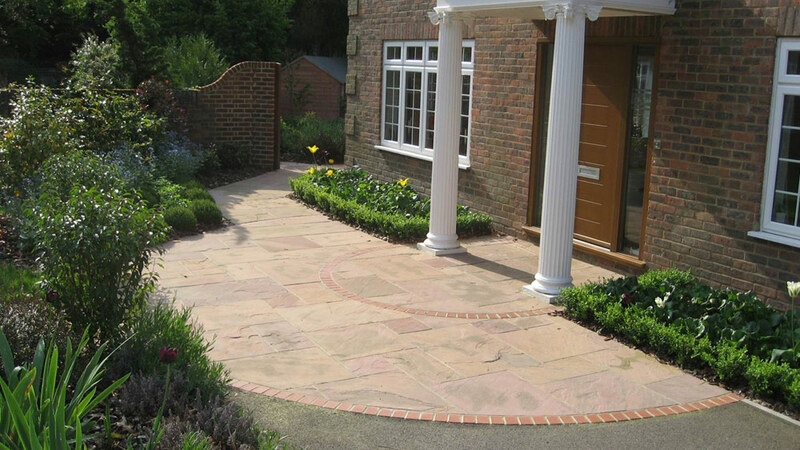 To enhance the frontage of the property and produce a front garden in keeping with the style of the property. The front of the property was laid almost entirely to lawn with a tarmac drive. The garden area was level and uninspiring. It did nothing to enhance the front of the property. We created a flat sandstone entrance to frame the existing pillars and make these more of a feature. This area can be driven over to allow a passenger to be dropped off close to the door. 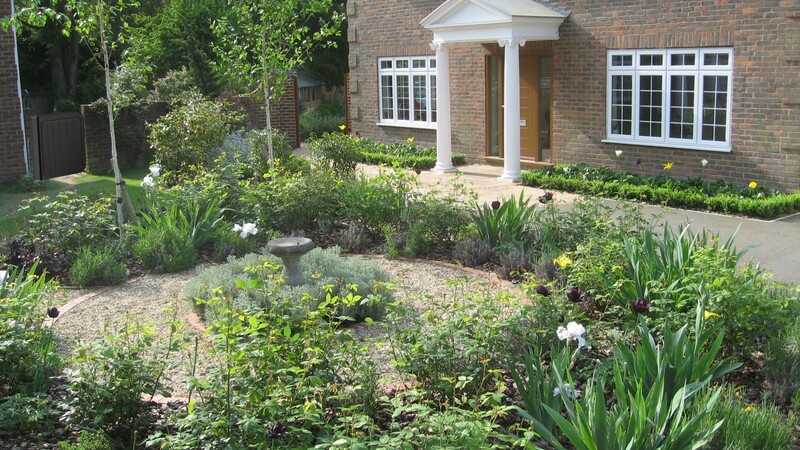 Due to the semi-neoclassical style of the house, we made the planting more formal with beds edged with box hedging. The new garden was centred around a very old stone feature surrounded by nine specimen trees that gave the garden new stature and light shade. The colour palette was largely green, purple and white with purple and white tulips in Spring and lavenders, alliums and anemones producing a splendid show in summer.